The high-profile aircraft turned around over the Netherlands and made an emergency landing in Cologne. The German delegation may end up being stuck in Cologne for the night, or may be forced to go to Buenos Aires on a commercial flight. 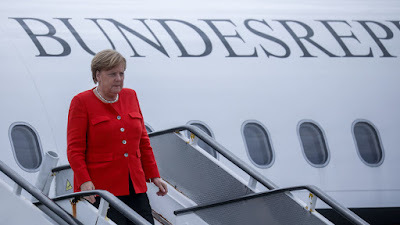 Merkel and other passengers remain on board of malfunctioning plane, Gordon Repinski, one of the reporters stranded alongside the Chancellor, has tweeted.